Thinking About Buying A Home in Tampa, FL? Are You Considering Buying or Selling a Home in the Tampa Area? We excel in helping buyers get the best value on their new home and helping sellers get the best deal out of their homes. 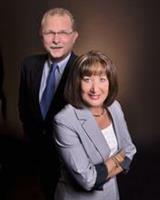 Our team has the experience, passion and commitment to help you buy or sell a home quickly. We constantly educate ourselves on the latest changes in the marketplace so that we can price your home accordingly or help you find the right home. Our website will help you find all of the information that you need to sell or buy a home. Check out the information below to learn more about how we can help you sell or buy a home in the Tampa area. Putting a home up for sale is one of the biggest financial transactions in many people’s lives. An experienced agent can guide you through every stage of the process. Our knowledge and experience will help you get the best price for your home. We understand home values and will help you create more value for potential buyers. Our cutting-edge marketing strategies and proven techniques will ensure that your home appeals to a large audience of buyers. We will work with you to make sure that your home is ready to sell and help you showcase your home’s best features. We will be there to guide you through every step of the process, from the initial listing to closing. Use our expertise and experience to help ensure that the sale of your home is a profitable, pleasant experience. Whether you are a first-time buyer, searching for a retirement property or a second vacation home, our experience and skill can help you get the home that you want. Our knowledge will help you understand the market value of homes that you are interested in. We are experienced negotiators and will help you get the home that you want at a good price. Contact us today for more information about real estate in the Clearwater, St. Petersburg and surrounding areas. We offer personalized service and promise to guide you through the home-buying or selling process every step of the way.